The word ‘green’ seems to be the marketing buzz-word used just about everywhere these days. Despite the sad reality that some companies make the claim to be green, when in fact they are far from it, does at least show that all companies, good and bad realize the consciousness shift to greener priorities. The concept of ‘going green’ in business goes far beyond just using recycled material and less toxic chemicals in manufacturing. There is a new economic trend happening thanks to leaders like United Nations Secretary-General Ban Ki-Moon who called for a “Green New Economy” that prioritizes renewable green energy, green jobs and community vestment. The United Nations even started UNEP: United Nations Environment Program. Their mission is to provide leadership and encourage partnership in caring for the environment by inspiring, informing, and enabling nations and peoples to improve their quality of life without compromising that of future generations. This message and education is especially advocated to industry leaders throughout the world. Although the UN advocates that governments get involved in funding and energizing green economic development, it is equally a message to small business to embrace the trend early, in order to position themselves as leaders in their respective industry evolutions. What’s so great about this New Green Economy? Social, Environmental & Economic. The belief is that all three pillars are equally important in ensuring sustainable profitability and therefore longevity of a business or industry. Although for all business, profit is important to ensure growth, in green economics, the understanding is that resources are finite, and a business can only thrive as long as it benefits the community it exists in. A good example is to compare “a job” in free market capitalism vs natural capitalism. In an unregulated free market, “a job” must only meet minimum legal safety/pay requirements. A job can be unpleasant, pay below the poverty line, and only provide the bare minimum safety requirement. Profitability is not tied to anything other than a number. In natural capitalism, “a job” pays a living wage, goes above and beyond to make the work not only safer but pleasant, as a value is placed on worker satisfaction. In a green economy there is much regulation ensuring higher standards of business are in practice than just bare minimums. In a new green economy people don’t just have a job, they love their job, and live a far more balanced and stress free life because of it, positively impacting families-an indirect social benefit not taken into consideration under the current minimum-wage era. When a green-tech business like TWD Inc, states its elevating operations to embrace new green economy standards, its not just about increasing our waste diversion rate-we are already at an astounding 95-98% just by the very nature of what we do, which is landfill diversion. 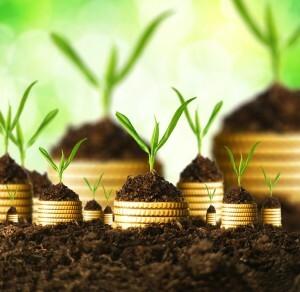 Green Economy shifts for family businesses like ours include paying living wages, employee development, reducing environmental/commuting impact by encouraging telecommuting, job sharing, profit sharing, and encouraging regulations, for the greater good of the industry, over our profit margin desires. We also dedicate our services to registered charities and community projects that makes our service value-added for the communities we operate in. We saw that as soon as we embraced social good, productivity and moral increased dramatically among our team. The next step in ‘greening’ textile waste diversion is to push for strong provincial regulations and invest in green tech advancements that will add value and open new markets in Canada creating even more sustainable jobs to uplift our province’s economic future. Embracing new green economy philosophy, from our experience, has been good for our employees, good for the charities and communities we serve, which in turn has been great for our business!